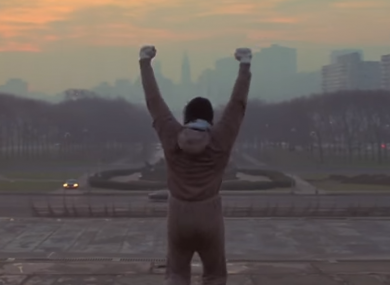 Philadelphia's most famous son, Rock Balboa. AER LINGUS IS promising to create 900 new jobs over the next three years. The news came as the airline announced plans for next summer that include 575 extra transatlantic flights and a new direct route between Dublin and Philadelphia. Aer Lingus has not given any further details on the types of jobs being created but says 100 will come on stream next year and then 800 more over 2019/2020. The new Philadelphia route will begin from 25 March 2018 and will operate four times a week from Dublin. Other services to the US next summer will include twice daily flights to Chicago and daily flights to the west coast, either Los Angeles or San Francisco. Rutter says that the company is now a "north Atlantic value carrier". Says that mission has been to make Dublin a "gateway" to N America. Aer Lingus says the expansion of its US services comes about as a result of investment from its parent company, International Airlines Group, which has seen four new long-haul aircraft purchased over the past two years. COO Mike Rutter said that the expansion will see the carrier add 177,000 transatlantic seats to its transatlantic schedule for next year. He called the announcement “phase one” of the summer announcement, with Rutter saying the routes were “like cabs being pulled off the rank”. At this time, he said, Philadelphia was the most attractive option. He added that a service to Las Vegas was one route that was being examined. The airline also announced it will buy eight new Airbus A321LR aircraft, which will fly to the east coast of the US, but carry smaller passenger loads. This, Rutter says, will allow Aer Lingus serve smaller US cities, such as Minneapolis, Charlotte and Indianapolis. He said that these planes would serve “primary” airports, not “ex-Air Force bases in New York state”. Email “Aer Lingus promises 900 new jobs and a new route to major US city”. Feedback on “Aer Lingus promises 900 new jobs and a new route to major US city”.